The public transportation system in a large metropolitan area needed to create a large separate room in one of their control areas. This room would only be used 3 or 4 days a week while the entire room was needed to be available and open the rest of the time. 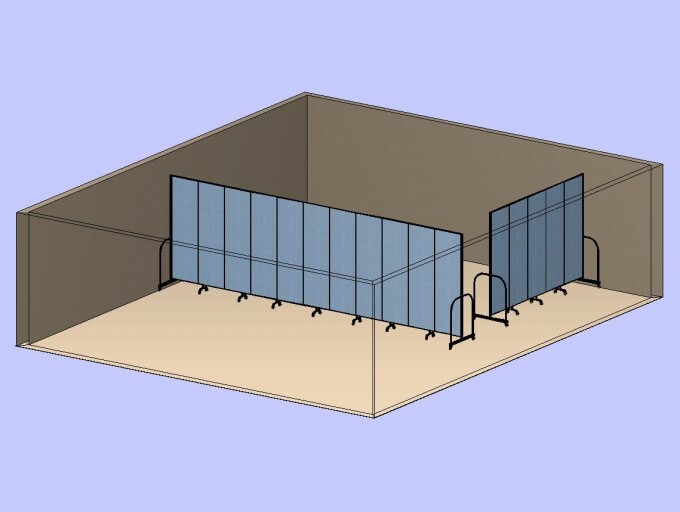 The answer was found by using only two Screenflex Portable Walls to create a room approximately 21 feet by 12 feet. Using two existing walls, we were able to help this customer make efficient use of their space and budget.